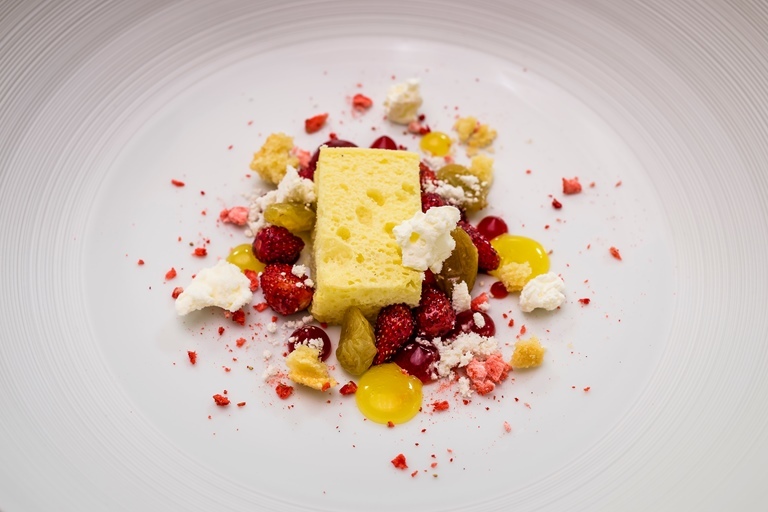 Michael Wignall complements a stunning aerated elderflower parfait with strawberry gel and glaze, a smattering of wild strawberries and more unusual additions of olive oil jam and a zingy elderflower sherbet. Michael Wignall could have been a professional BMX biker. It was a fortunate day for foodies everywhere when he decided instead to work under legendary Northern chef Paul Heathcote.